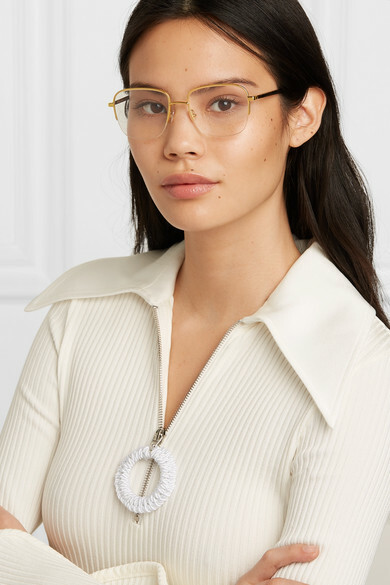 Stella McCartney's glasses have a squared profile that's particularly flattering on round or heart-shaped faces. 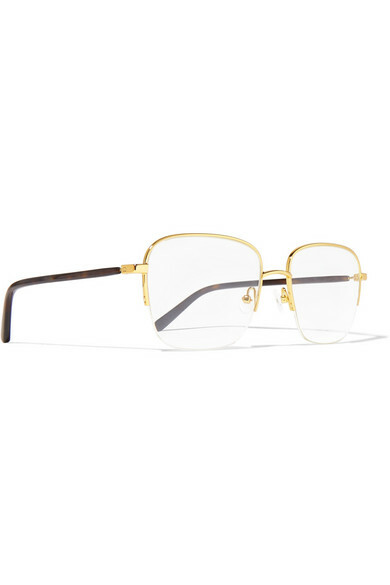 They've been made in Italy from gold-tone metal and tortoiseshell acetate with a semi-rimless design that won't overpower your features. The discreet nose pads ensure they sit comfortably. Shown here with: Ellery Dress.